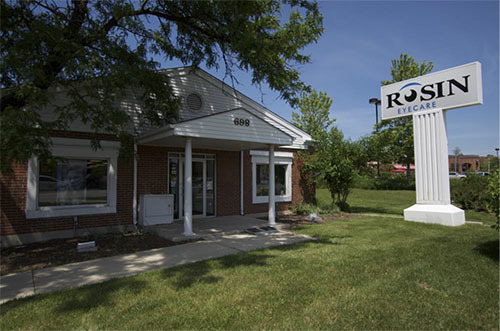 Rosin Eyecare in Glen Ellyn offers a wide variety of services, including eye exams, fittings for contact lenses and glasses, and much more. For more than 40 years, this office has been providing the friendly, reliable service that has made Rosin Eyecare a trusted choice throughout Chicago since 1930. Located just west of I-355, across the street from Starbucks on Roosevelt Rd. at 698 Roosevelt Rd., this office offers comprehensive eye care services, including eye exams, contact lens fittings, LASIK and more. With our highly trained, professional and friendly staff, you know that you’re in good hands. 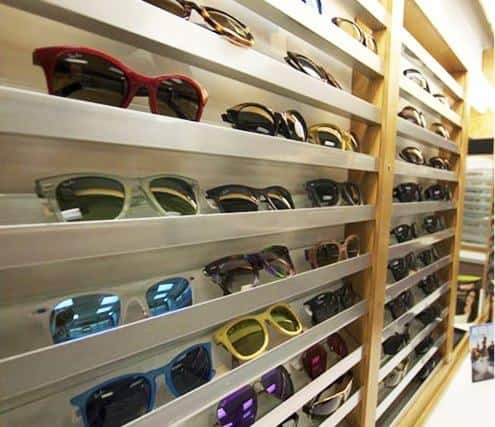 With a wide array of lens styles, and a broad selection of frames for men, women and children, our Glen Ellyn office has everything you need to maintain proper eye care. We even offer specialty frames and lenses, including those designed for reading, safety and sports. Whether it’s time for an annual exam or you’ve never seen an eye care professional before, our courteous staff is here to answer your questions and help you find the best fit for you and your eyes. Call (630) 545-2020 to schedule an appointment today. *From the South: From Willowbrook Wildlife Center take S Park Blvd north towards Panfish Park. Turn right onto Taft Ave and continue east where you will turn left onto Nicoll Way. Head north then turn left on W Roosevelt Rd where we are located on the right next to Advance Auto Parts. *From the North: Take Spring Ave south towards Glen Oak County Forest Preserve. Turn right onto IL-53 S and follow the road until Baker Hill Dr where you will turn left. Pass Phillip J Rock Center & School then turn right onto W Roosevelt Rd. Continue west and you will find us on the right across from DentalWorks Glen Ellyn. I am nothing but impressed with the service at this store! Everyone who has helped me has gone out of their way to find glasses that made me look and feel good. One of the opticians even looked through all of the Ray-Ban selection they carried to try to find me a special frame. Dr. Torson was great and made time to take a look at my eye when I had some pain. I didn’t even have an appointment. Will recommend! I had a great experience with Rosin. They are a preferred VSP provider so my insurance gave me extra money for my frames if I came here. I can’t speak to prices because I always order my contacts and glasses at the optometrist office, however I was very pleased with the price I walked out paying after insurance. The process was pretty easy. I made an appointment a few days in advance online. Once I arrived to the office, I filled out the typical new patient forms and I was seen within a few minutes. The eye doctor was pretty nice and answered all of the questions I had. Although their supply of eyeglasses was smaller than my previous eye doctor, they did have a lot of pairs that I liked. I tried on tons of different pairs until I nailed it down to my final 5, then the woman assisting me was kind enough to get me total prices on each. I ended up with a pair of brown ombre Bebe glasses that I get so many compliments on.